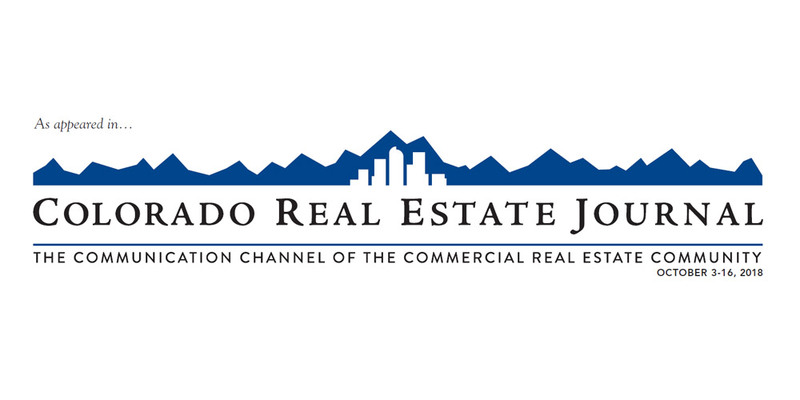 Downtown revitalization occurring across Northern Colo.
Adviser, Chrisland Real Estate Cos.
As you may have heard recently, population growth in Northern Colorado continues to be downright robust. (Shocking!) However, an interesting aspect of the growth is the character of a few investments in historic downtowns throughout our region. For instance, in order to clarify community identity and improve citizen quality of life, some towns are making strategic investments in the “fine grain” details of their central business districts. New plazas, street furniture, improved walkability, live music, splash pads and, yes, major real estate projects, are all elements that point to a growing trend of small downtowns being treated as critical mixed-use neighborhoods. Affordability still drives most of the population shifts along the Front Range, and most people really do want to call someplace home, and then live most of their daily lives there (think live, work, play). Arguably, the most effective strategy to create livability and a sense of civic pride for residents in any town is to focus on downtown walkability and a mix of uses that connect citizens to everyday services, employment, cultural amenities and Mother Nature. At this time last year, we reviewed a few historic downtowns and projects located in Larimer County only. This year, however, considering the ongoing interest in affordability, nostalgia and authenticity, a few historic downtowns located further away from Interstate 25 are included and offer compelling stories to consider, especially for restless Front Range residents. For instance, what began as a neighborhood revitalization effort in downtown Greeley might soon be characterized as a profound community metamorphosis. Even small towns like Eaton and Wellington, with their deep historical roots in agriculture, are in on the downtown revitalization game. Finally, in full disclosure, it should be noted that an analysis of downtown Boulder was begun for this article; however, after what the University of Colorado Buffs did to the Colorado State University Rams a few weeks ago, that report was swiftly composted. Greeley. Greeley is the county seat of Weld County and is not only one of the most historically significant communities in the American West, but also is booming with population growth. According to the Colorado State Demographer’s office, Weld County will add roughly 56,000 people in the next five years. With average home prices in the Denver metro area firmly in the $500,000 range and relatively more affordable Fort Collins in the $400,000 range, it is no surprise that many families are moving to the Greeley area where a lot of house can still be bought for $300,000. Positioned firmly in the historic path and center of many new households to come, downtown Greeley is undergoing a bold and positively kinetic revitalization program that is not only stimulating exciting new real estate projects, but improving livability as well. Downtown Greeley is enjoying the successful completion of two major projects this past year – the Doubletree by Hilton hotel and conference center and a new $17 million municipal services facility known as City Center. Following up, several news projects are underway that will add energy to downtown and improve the vital pedestrian connection to the adjacent University of Northern Colorado campus. The biggest project this upcoming year is South Maddie, an unprecedented mixed-use redevelopment project just east of the UNC campus, set to break ground in October, according to Pam Bricker, Greeley Downtown Development Authority executive director. Offering 220 market-rate apartments at a prime downtown intersection, ground-floor retail and crisp urban design, South Maddie promises to provide a “domino effect” for downtown Greeley retail, according to developer Adam Frazier of Richmark Cos.
Also coming up this year, a focused partnership of private and public downtown stakeholders engaged planning firm BHA Design Inc. to design sidewalk improvements for the critical 16th Street corridor, the de-facto line between the UNC campus and the historic downtown. Greeley understands that bringing students into downtown is a proven revitalization strategy. Eaton. As population, housing costs and traffic in Greeley and Fort Collins continue to grow, the nearby town of Eaton finds itself uniquely positioned within the region as bucolic and relatively affordable. A 100 permits for new homes have been issued this year, with more to come, according to Jeff Schreier, assistant town administrator. 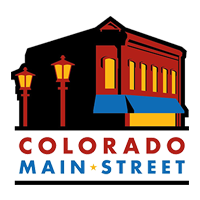 Approximately 14 miles east of Fort Collins and 7 miles north of Greeley, Eaton features a historic downtown with sunny sidewalks and a healthy stock of perfectly sized brick buildings. As an expansion of the historic downtown, Eaton recently developed a large new Town Square park that has begun to serve as a focal point of community gatherings, events and picnics. With hundreds of homes, three public schools and four public parks located within a short walking distance, downtown Eaton will be an interesting revitalization story to monitor. Wellington. Wellington very well may have 10,000 residents now. As new residents continue to arrive, the Main Street Wellington group has led efforts to welcome them to town by producing events and activities, improving the aesthetics, and generally making downtown more interesting and comfortable. For example, a vibrant summer concert series continued this year, and several new art installations are now in downtown. New businesses that opened this year along Cleveland Avenue in downtown include a tasting room by renowned craft brewer Soul Squared, as well as Papa’s Table restaurant, located just a few doors to the west. A new development project planned by Meridian Credit Union for the west end of Cleveland Avenue will provide significant economic benefits to Wellington, according to Annie Lindgren, Wellington Main Street executive director. In 2017, Meridian purchased 10 acres with plans to build a branch in 2019, and sell the remaining lots to other employers. 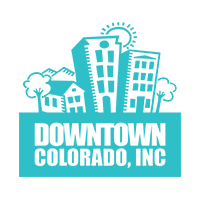 The Meridian project will function as a business park and promises to bring long-desired employment to a town that no longer wants to be viewed as a bedroom community. To the economic benefit of downtown Wellington, companies located at the Meridian project should provide new diners to downtown restaurants during the coveted daytime lunch hours and, furthermore, the Meridian buildings will establish an interesting urban edge that should help signal a change in street character, from highway to something more walkable. Fort Collins. Old Town Fort Collins continues to bloom with thoughtful and momentous redevelopment projects, as well as innovative public realm enhancements focused on the visitor experience. After more than 30 years of planning and persistence, the spectacular 164-room Elizabeth Hotel opened last November, complete with a 323-spot parking garage (216 public), proper record players that are standard in a few guest rooms and frequent live music at the Magic Rat. Next up: redevelopment of a former tire shop on Mountain Avenue into office and residential, plus more than 190 new apartments in the emerging River District. Finally, to further improve the famous Old Town Fort Collins visitor experience, the Fort Collins Downtown Development Authority is constructing two more square blocks of enhanced alley ways, featuring essential lights, furniture and planters as well as innovative artistic elements that few have seen elsewhere. Loveland. As reported last year, a $75 million partnership between the city of Loveland and private development firm Brinkman began a major three-block downtown redevelopment project known as The Foundry. Today, most of the project is complete, and nearly all of the 155 apartments are occupied. A new 35,000-square-foot public plaza serves as a long-desired central gathering place and the crown jewel, a seven-screen MetroLux movie theater, is being built across the plaza from a four-story TownePlace Suites by Marriott hotel, also under construction. In terms of livability, residents and visitors alike will love the splash pad in the plaza, scheduled to open next spring along with the theater and hotel.